The organisation has now signed an agreement, or covenant, as part of the first steps towards formalising its support. And on Monday, senior armed forces representatives attended a meeting of the NHS Board at Dumfries and Galloway Royal Infirmary to present the signed covenant which officially marks the new relationship. 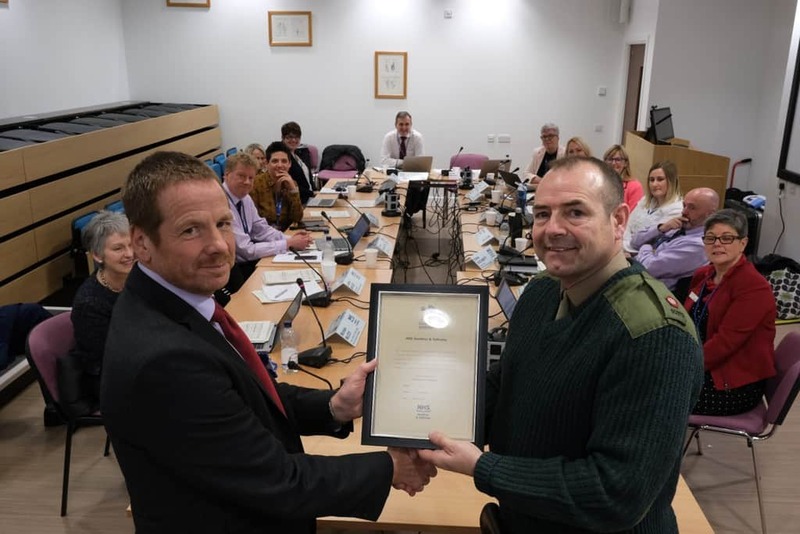 Charlie Cook is Regional Employer Engagement Director at Lowland Reserve Forces and Cadets Association, and he said: “We are delighted that NHS Dumfries and Galloway has become the latest employer to show its support for the armed forces by signing the Armed Forces Covenant.